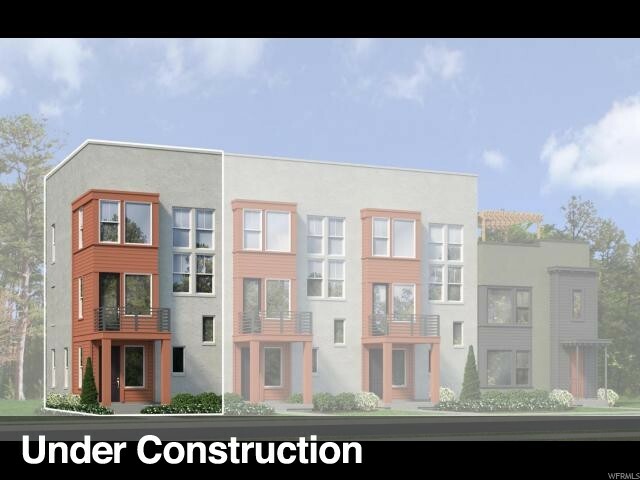 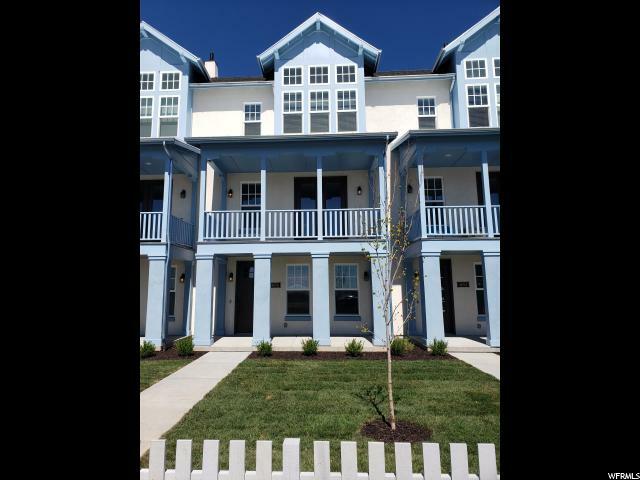 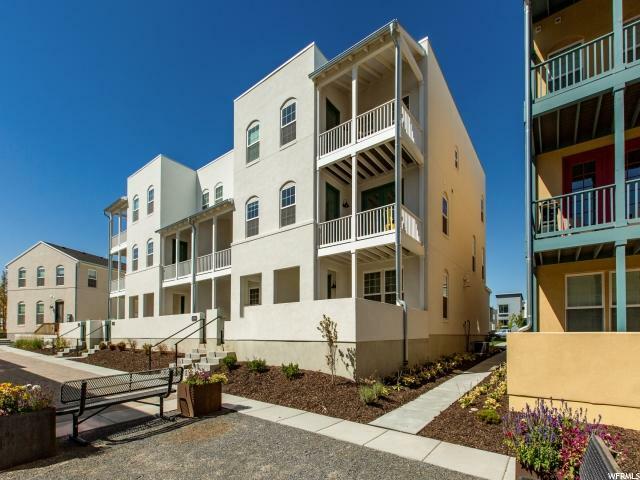 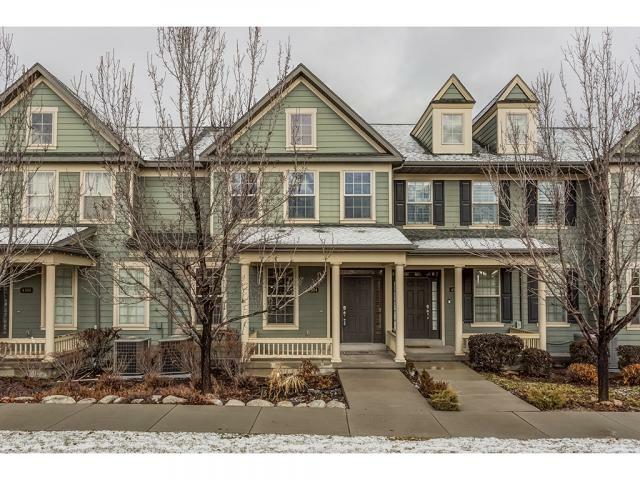 Better than a model home, this townhouse is absolutely gorgeous! 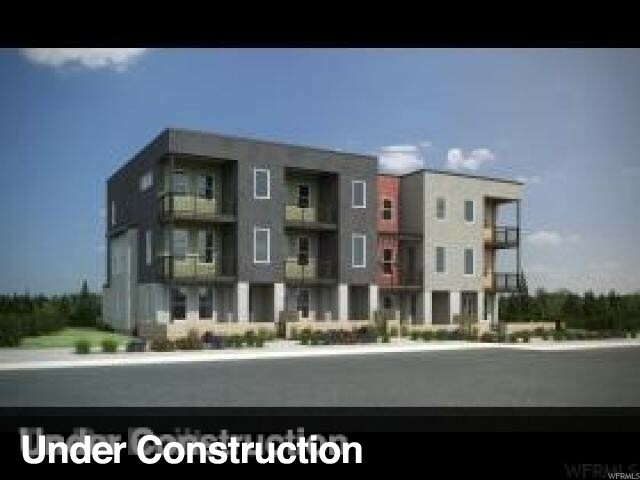 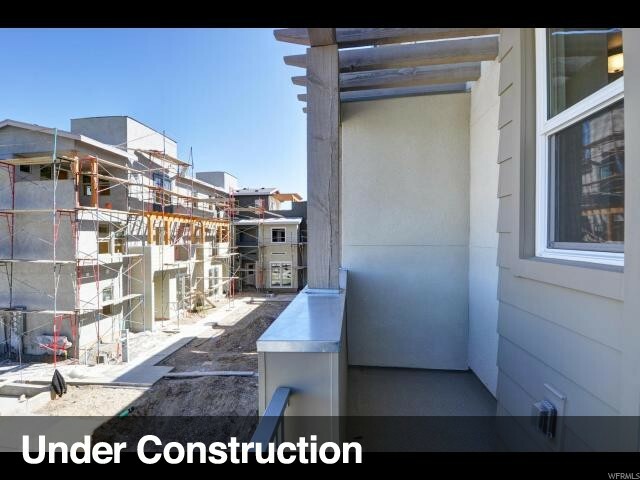 With a patio this size and access from the main level, you will be torn on where to spend your time! 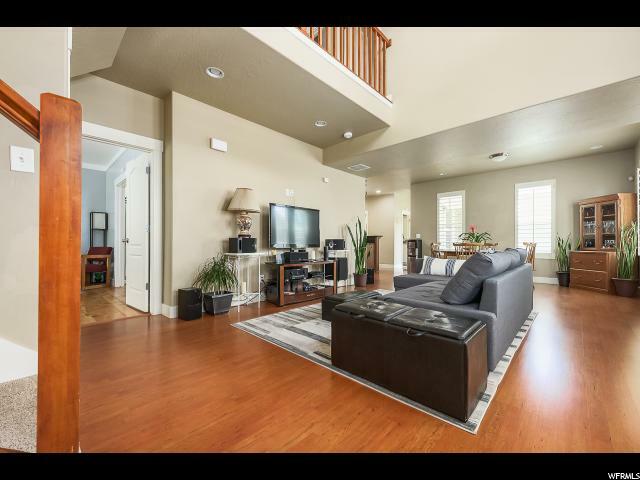 Beautiful dark wood laminate floors, large picture windows throughout, and extra tall ceilings make for a grand entrance to this home. 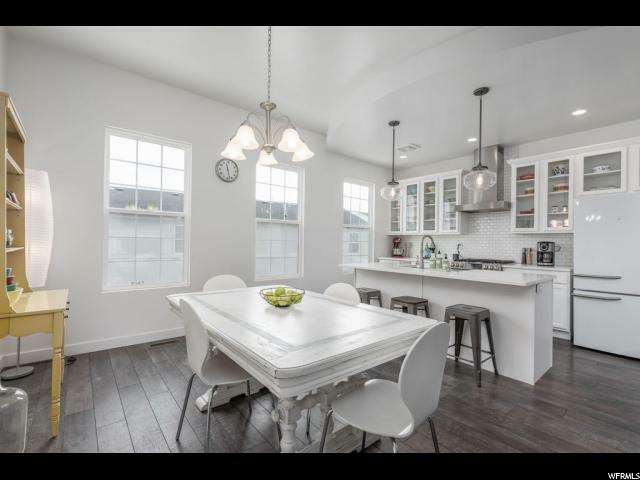 Hosting family gatherings and parties are a breeze in the combined dining and kitchen space. 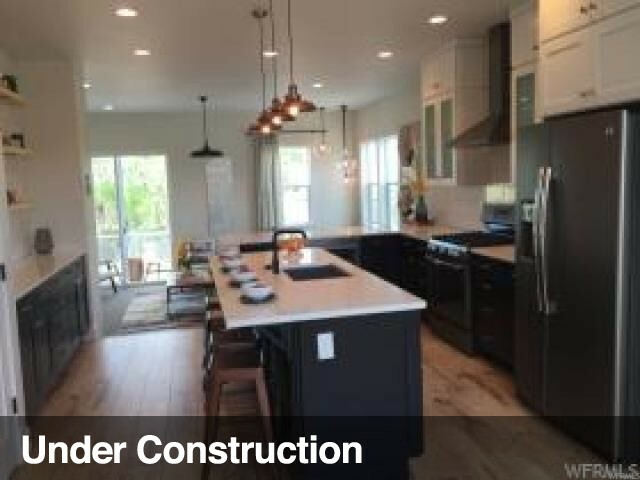 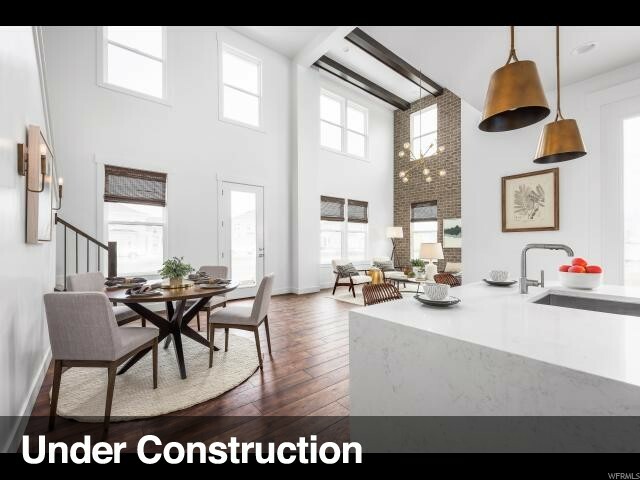 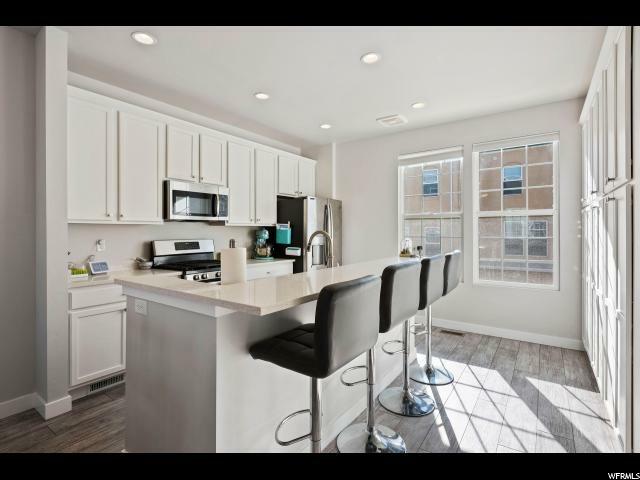 The large gourmet kitchen features a huge island for extra seating and storage, stainless appliances, (including a double gas oven), white cabinetry with crown molding, subway tile backsplash, and spacious pantry. 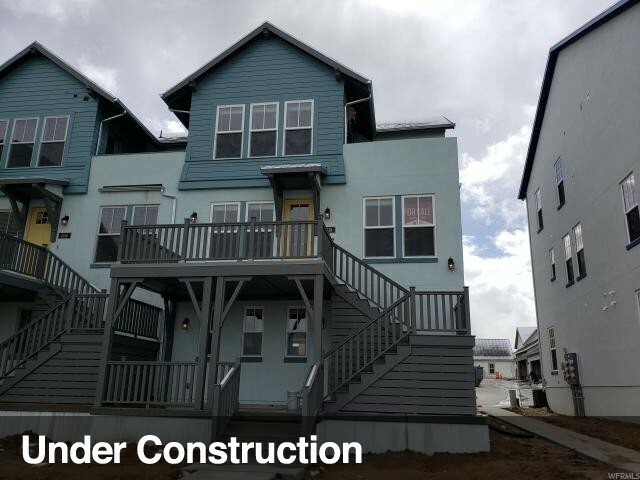 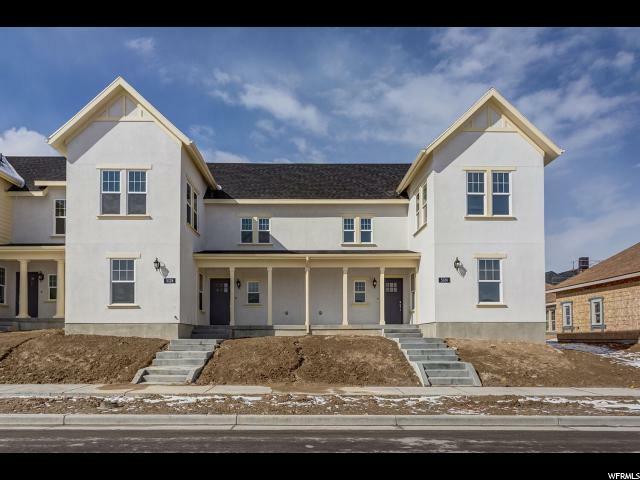 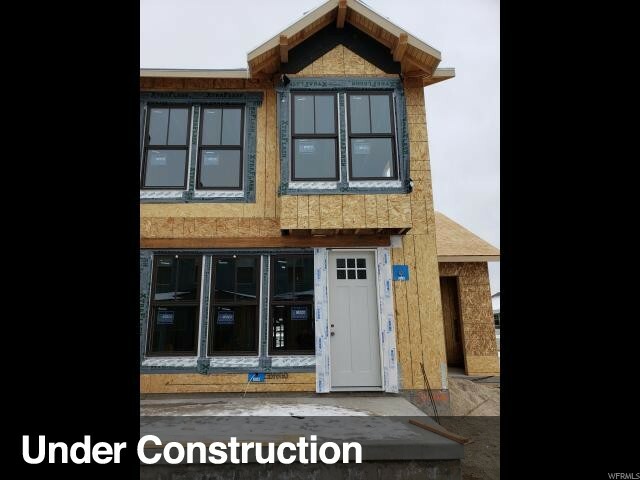 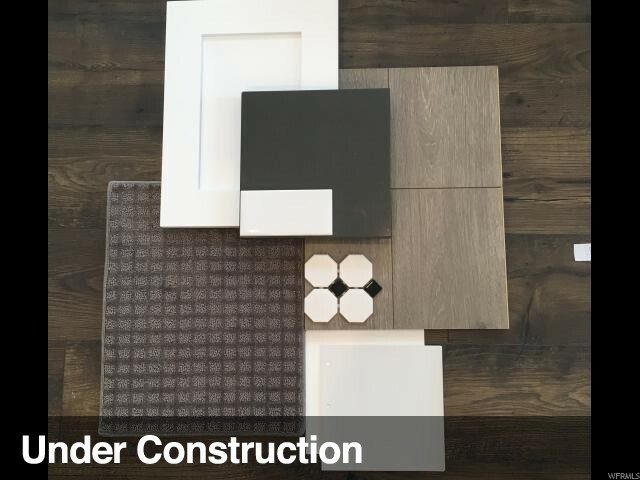 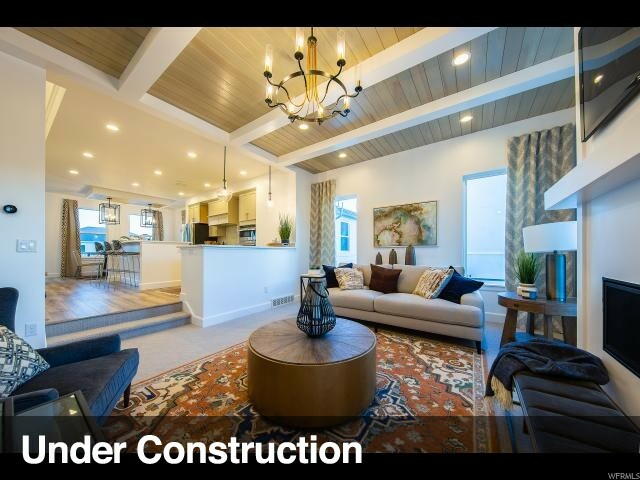 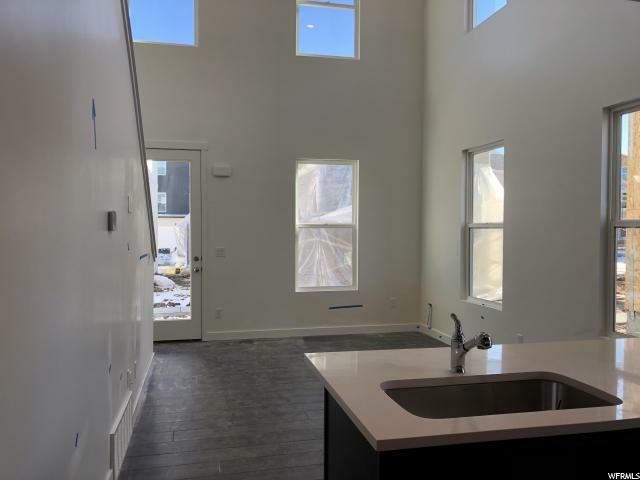 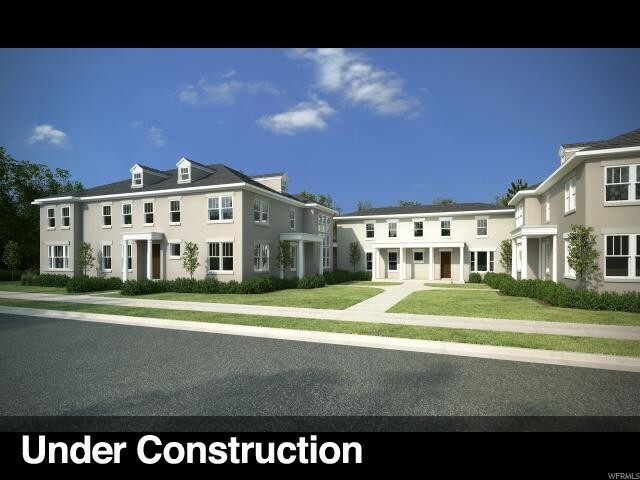 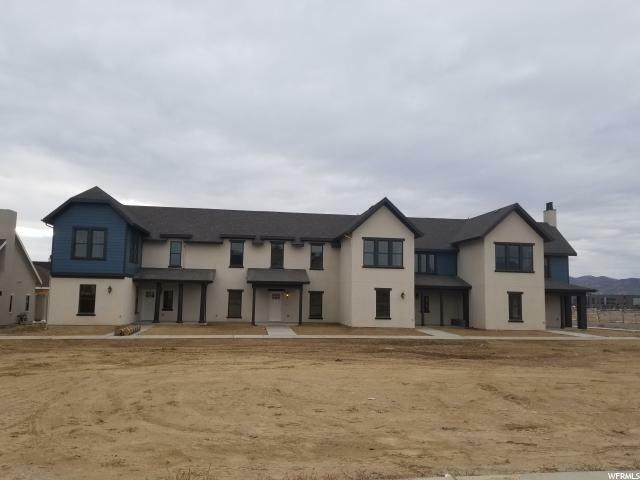 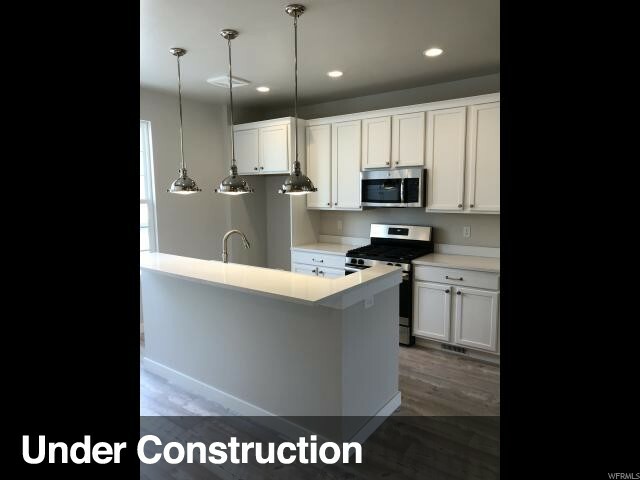 The upper level houses the laundry room (with extra cabinets for storage) and all the bedrooms, including a grand master suite with tons of room, a walk in closet, and upgraded master bath with granite counters, double undermounted sinks, and custom tiled shower. 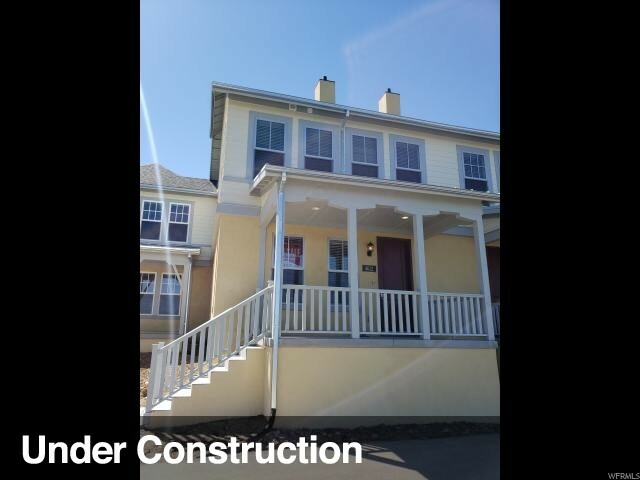 The deck has a gas line for a bbq and is accessible from the front as well as the back of the house. 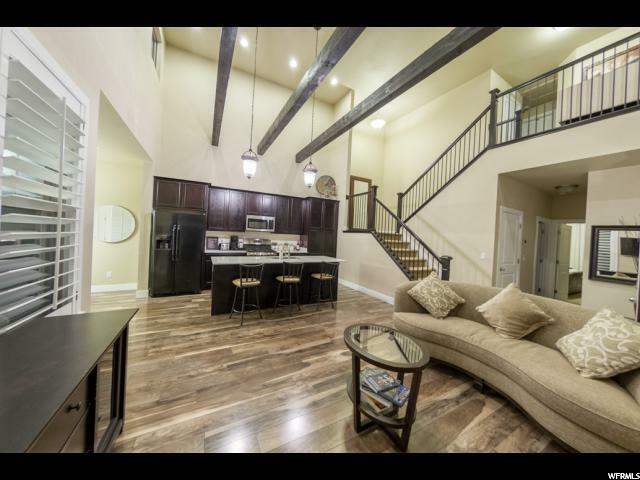 Epoxy floors and a huge storage room in the garage are a few additional features you will love in this home. 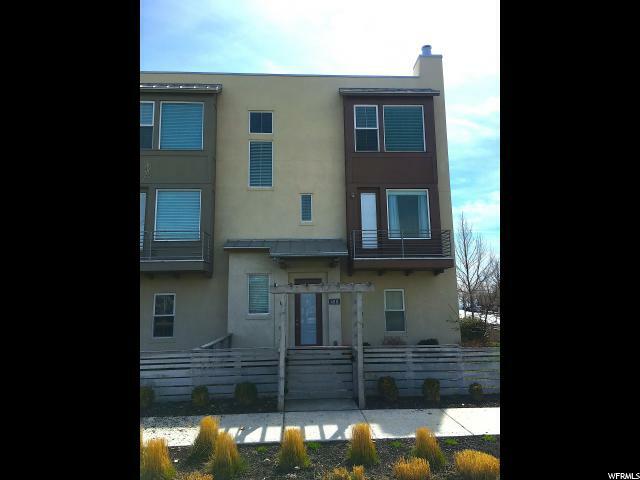 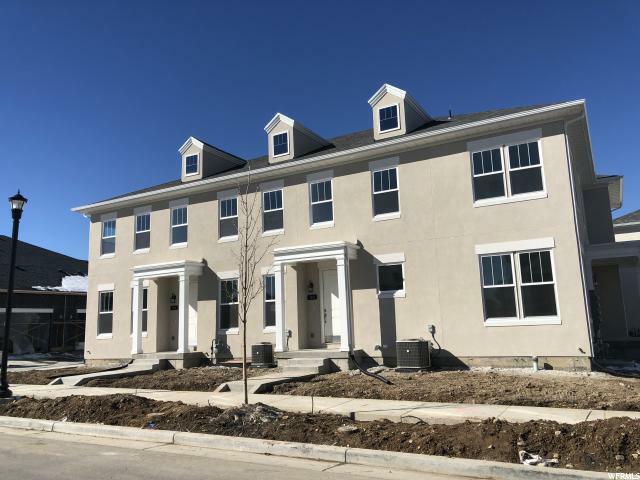 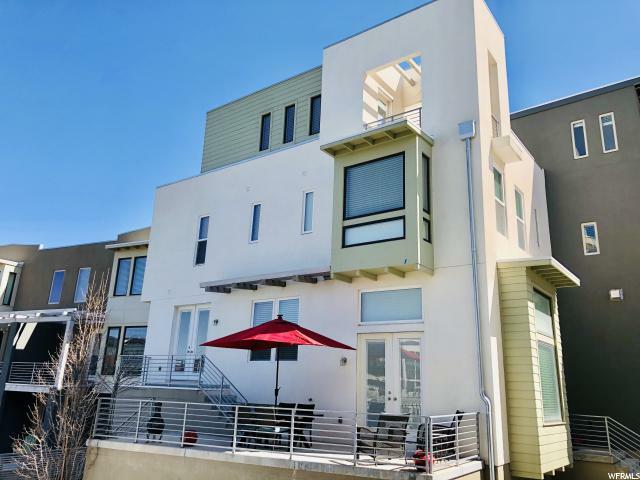 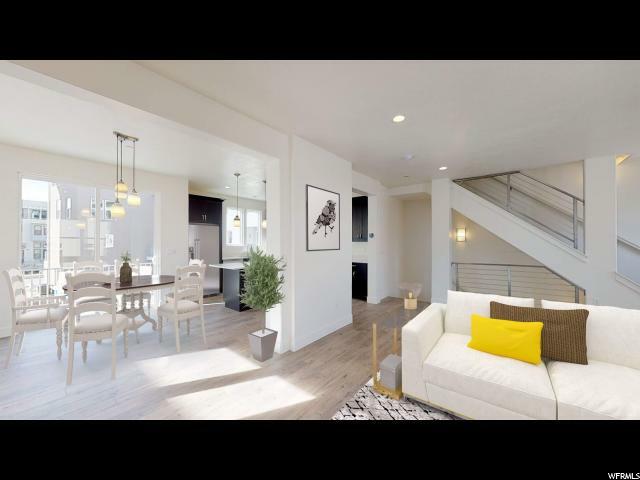 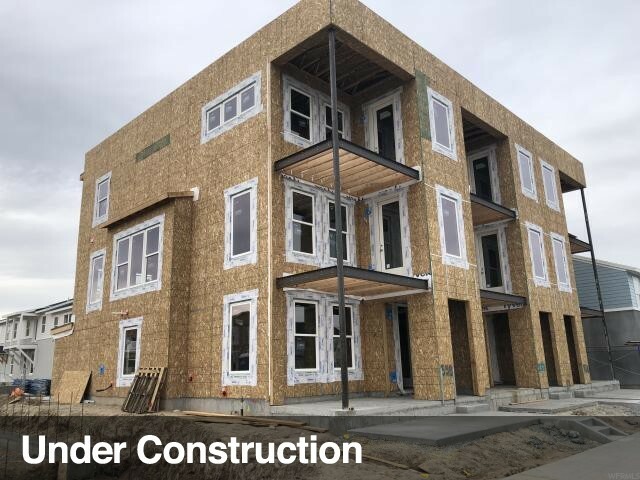 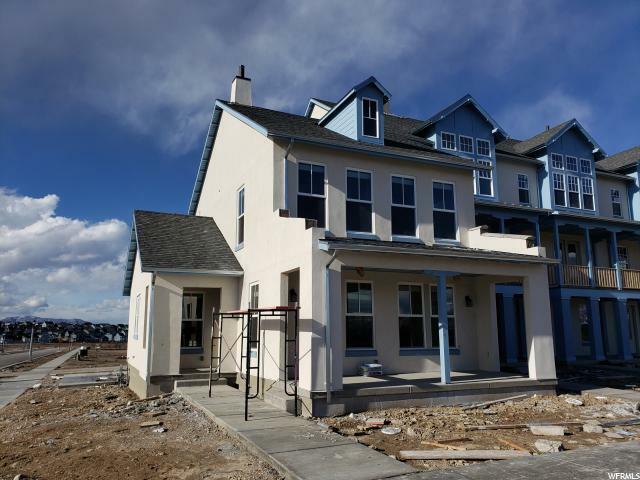 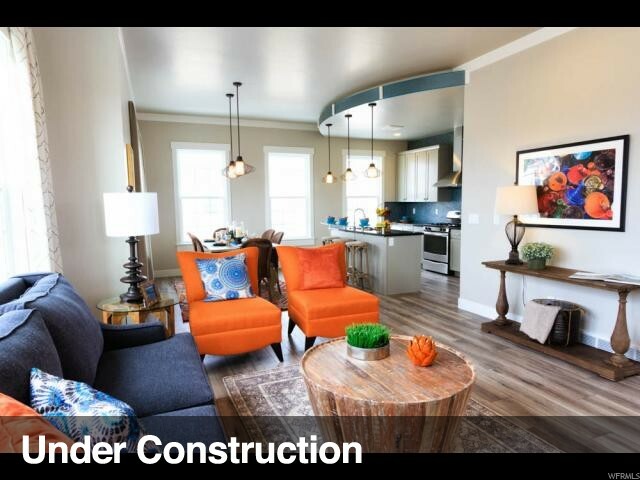 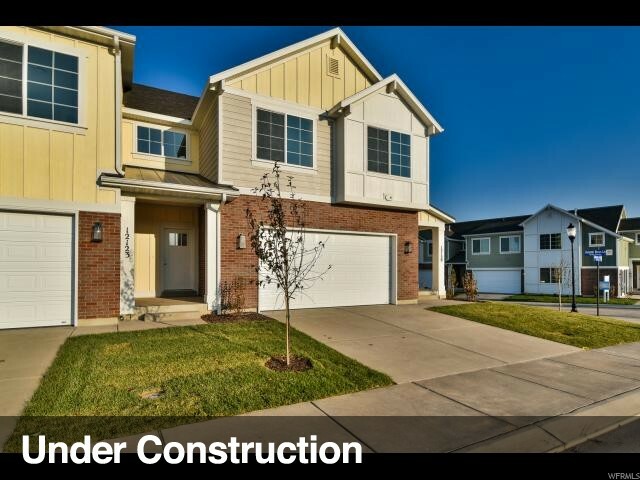 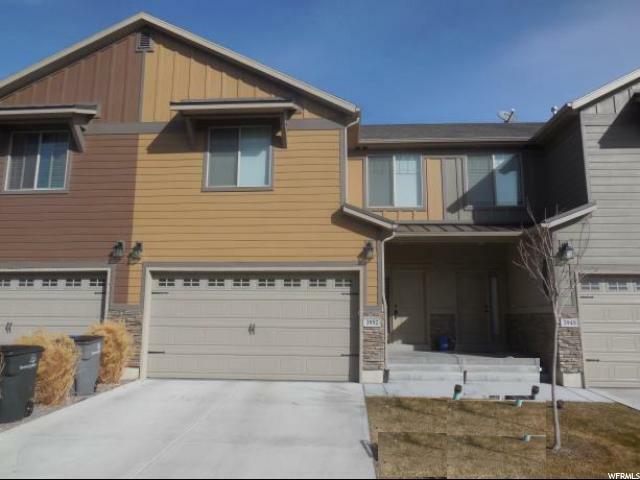 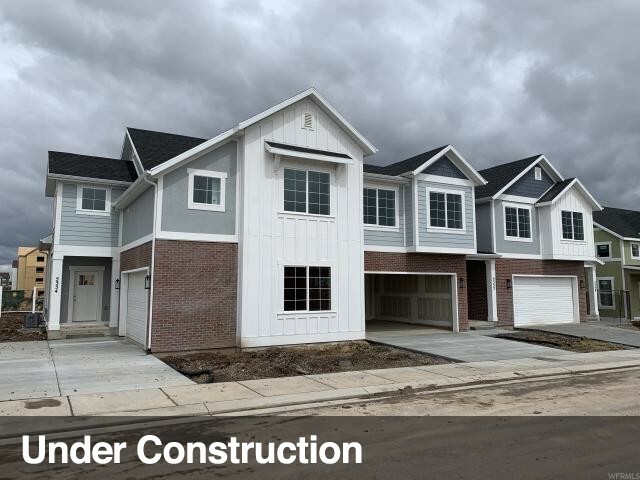 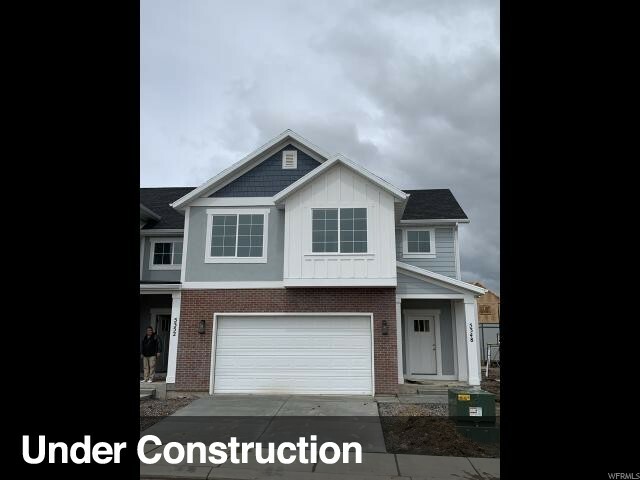 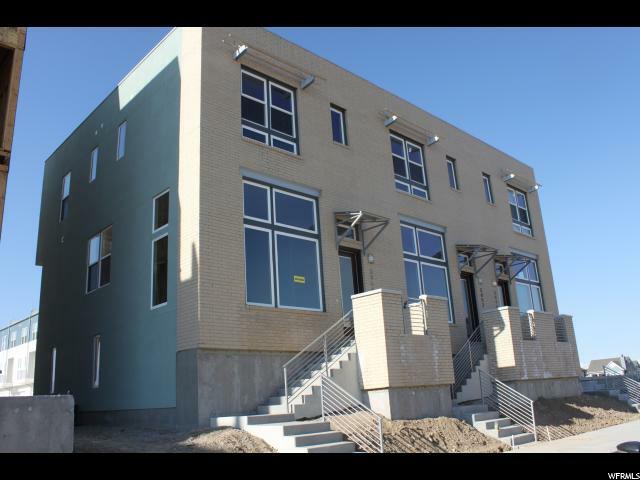 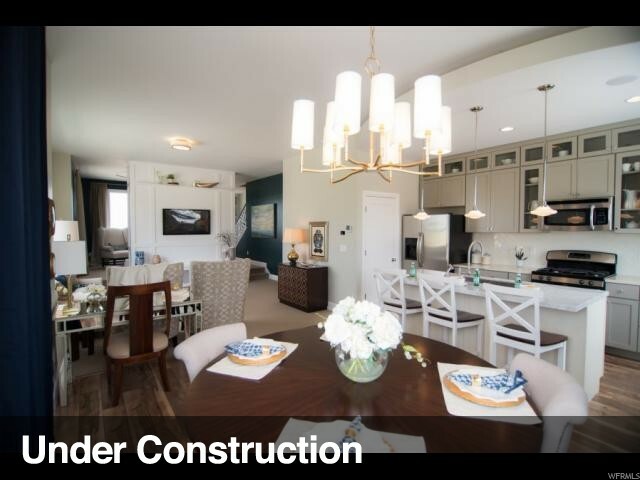 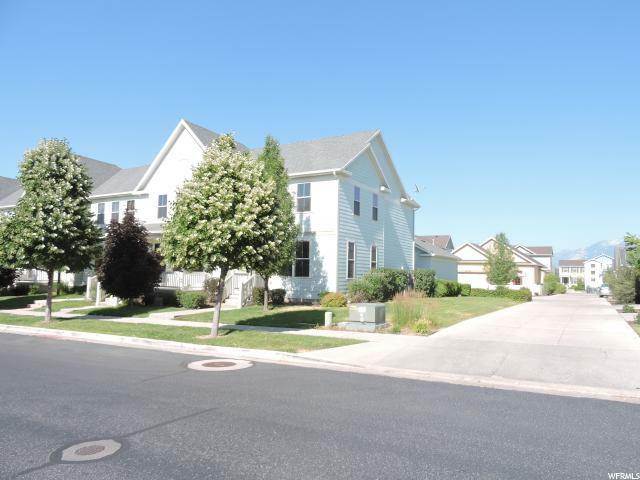 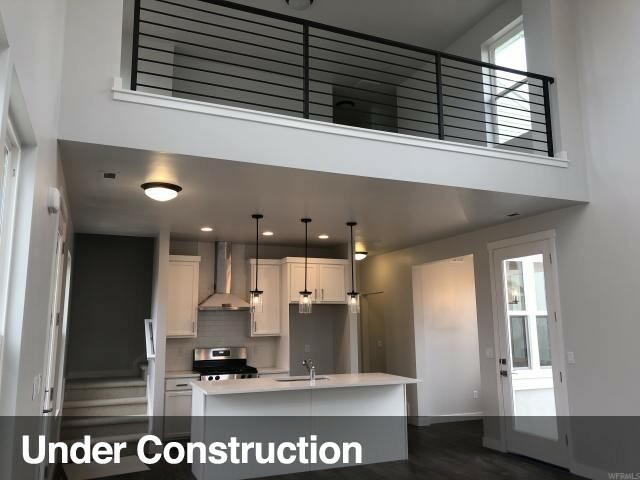 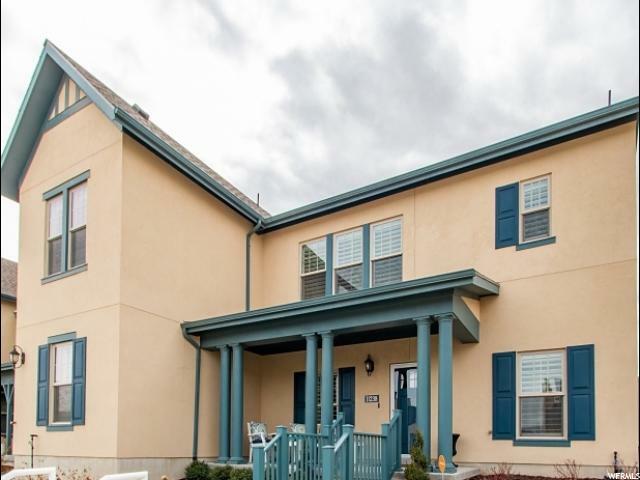 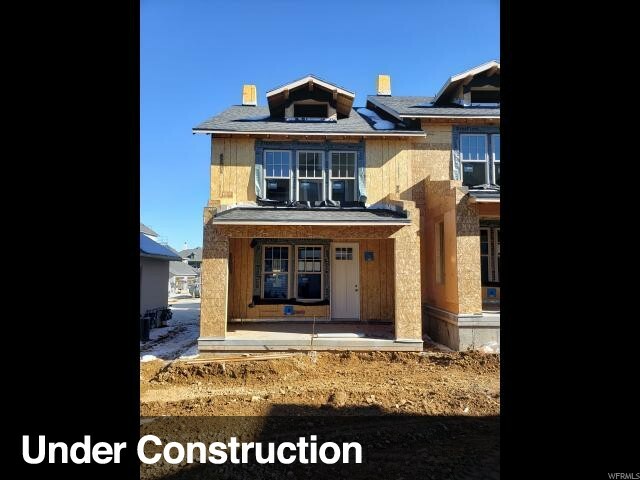 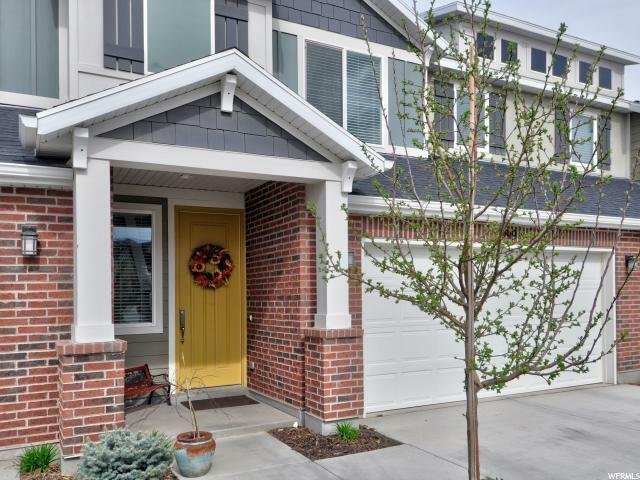 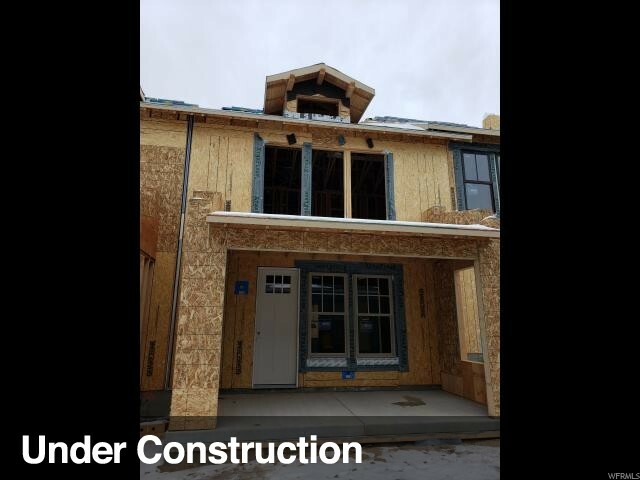 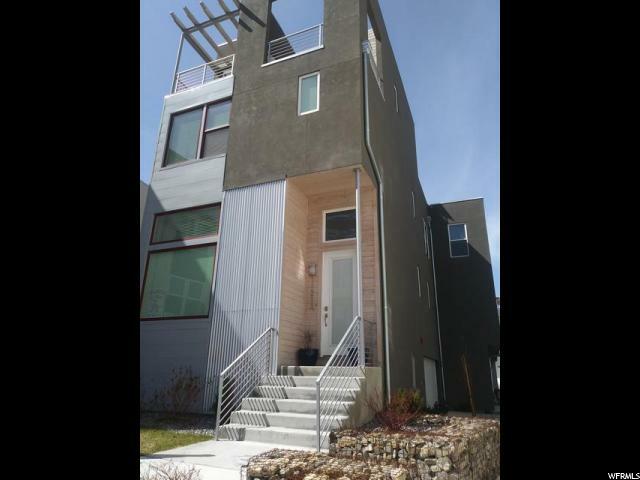 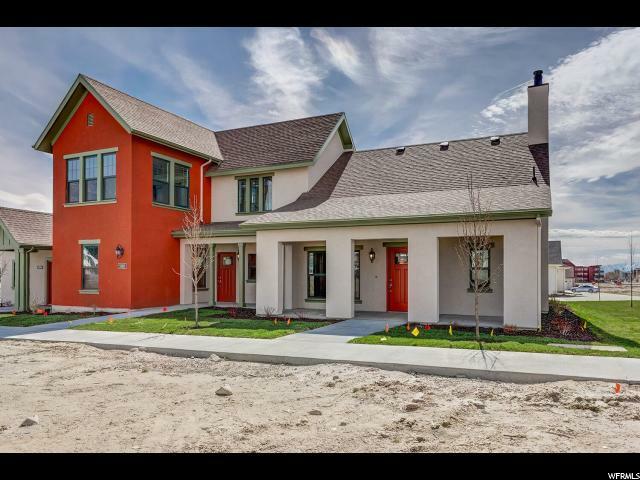 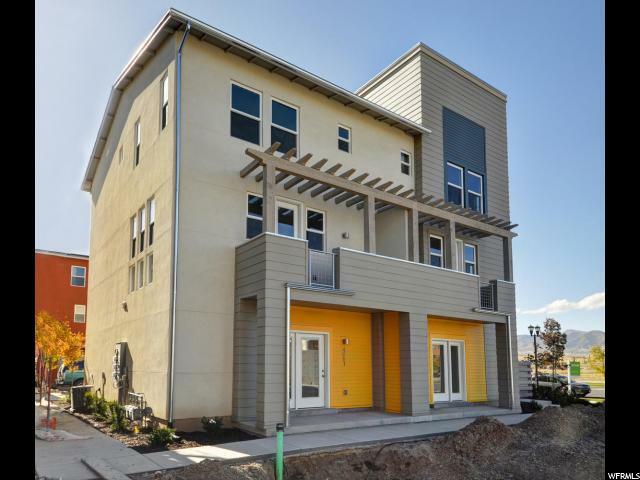 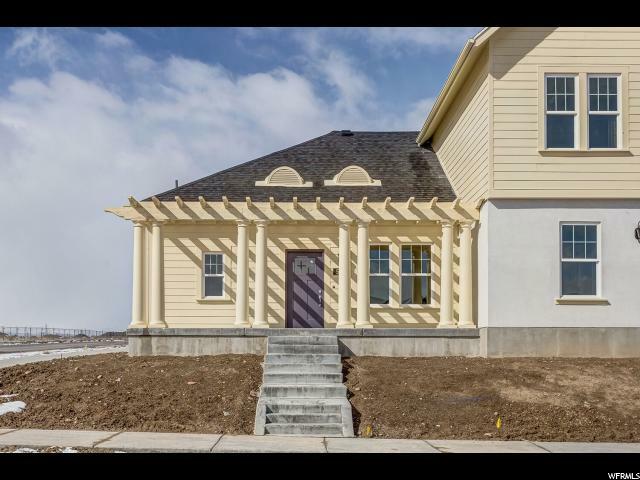 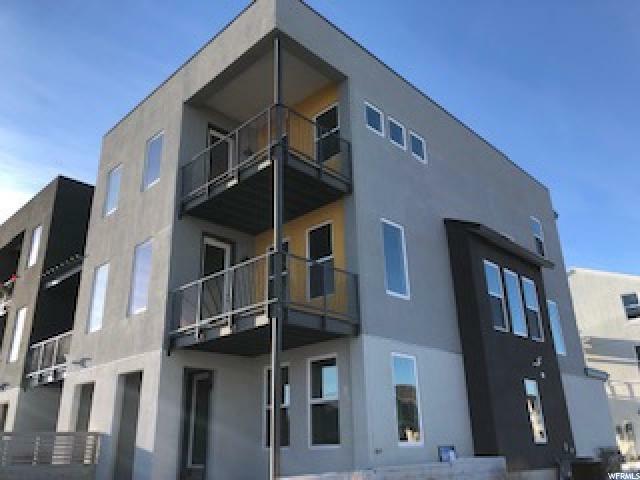 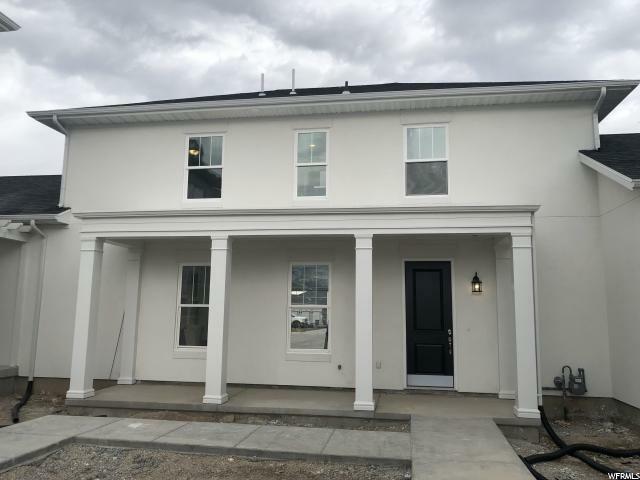 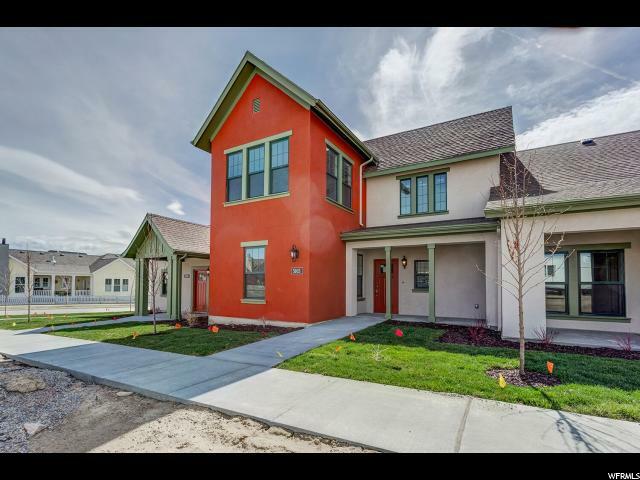 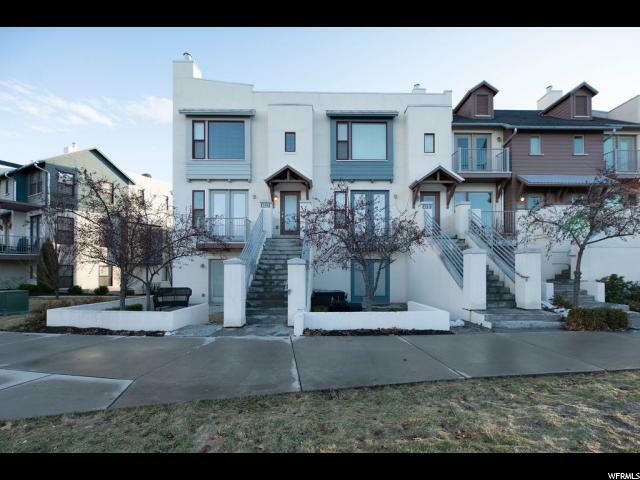 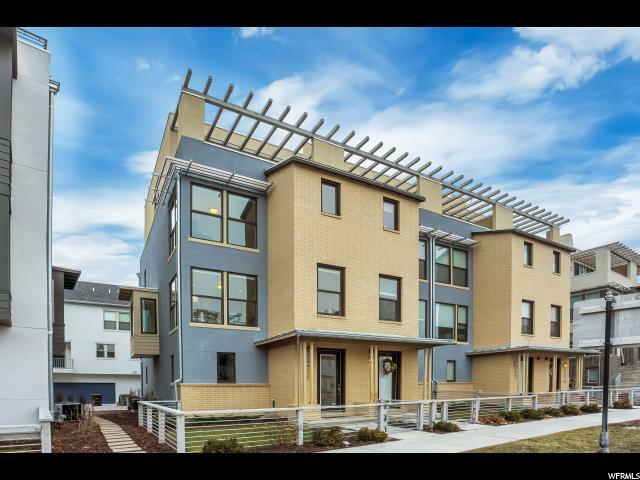 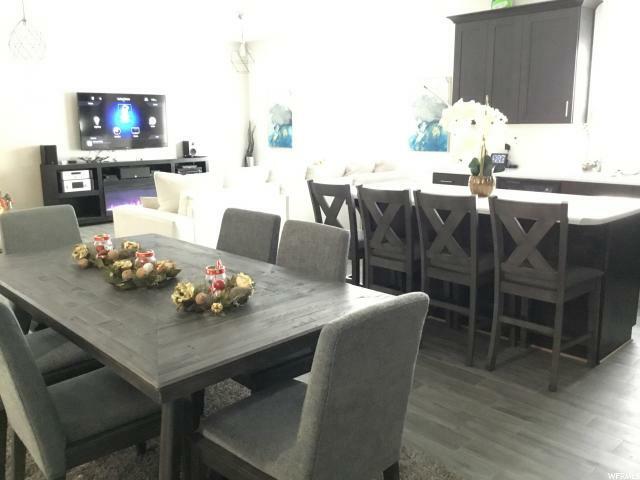 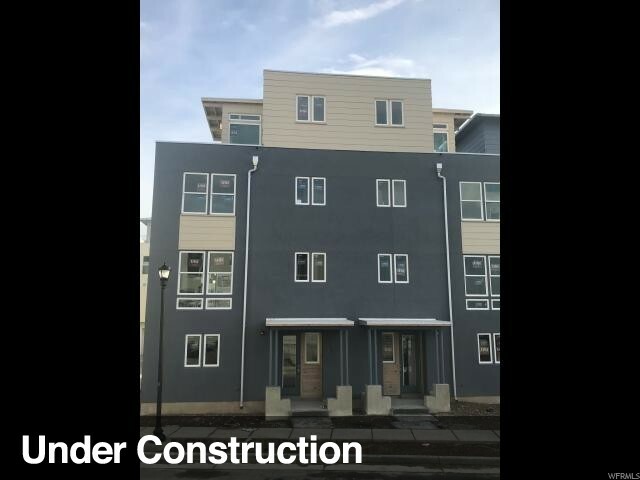 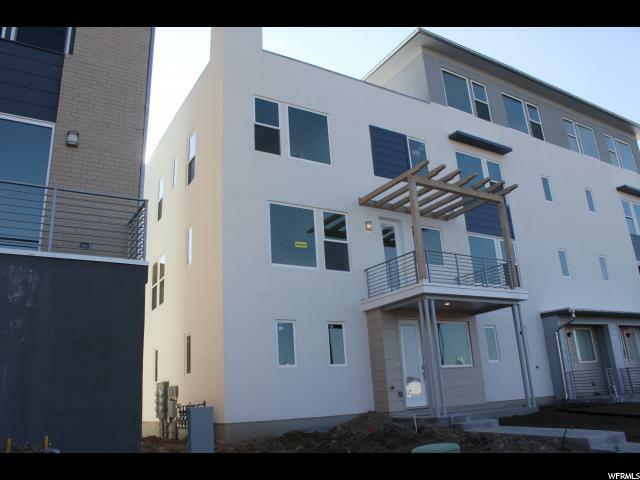 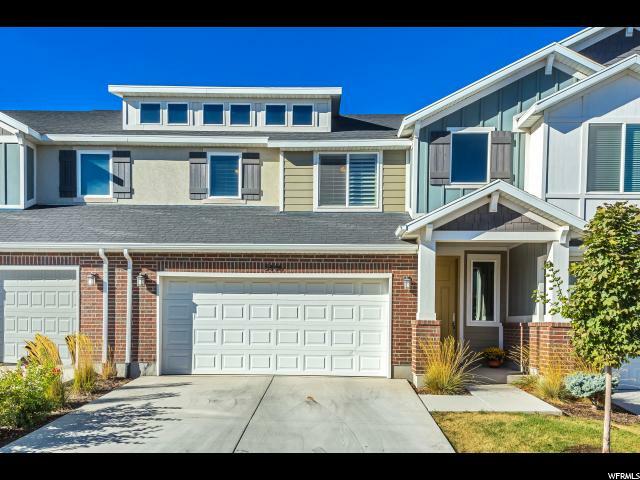 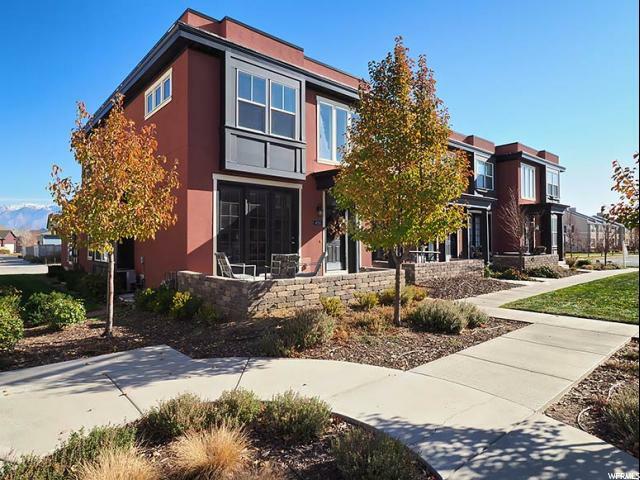 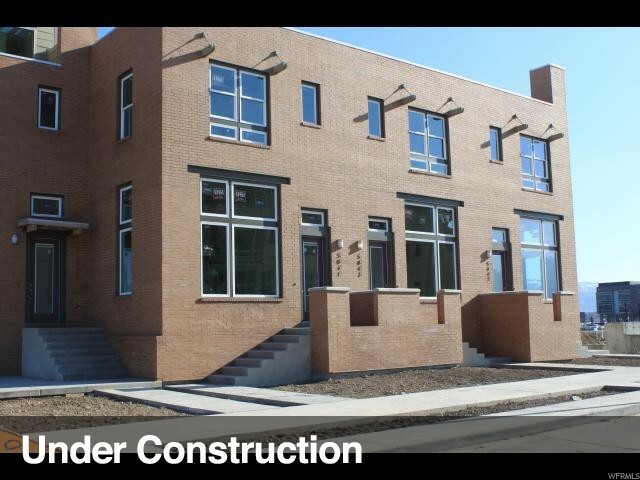 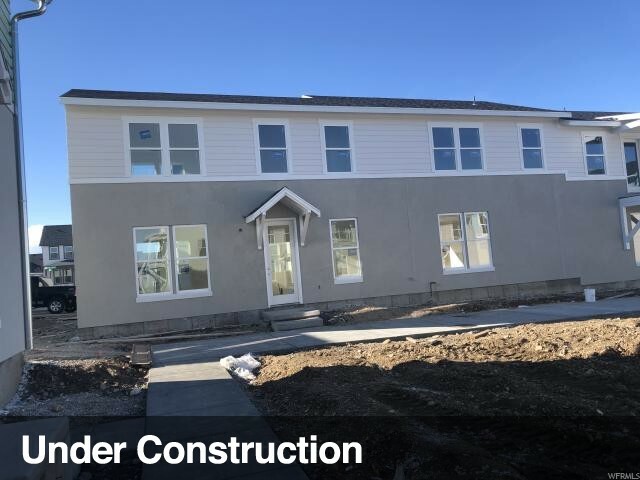 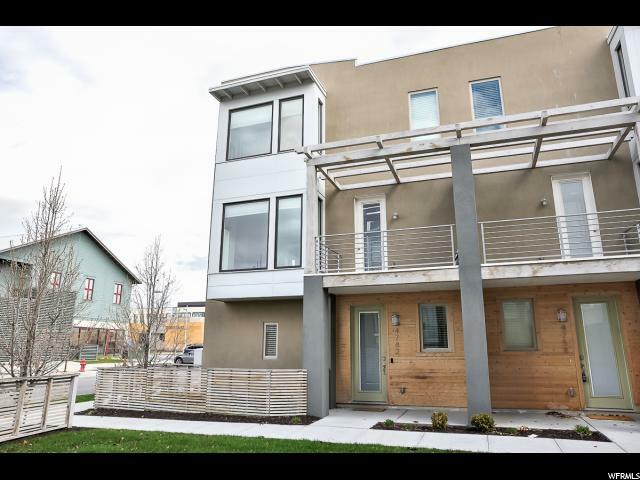 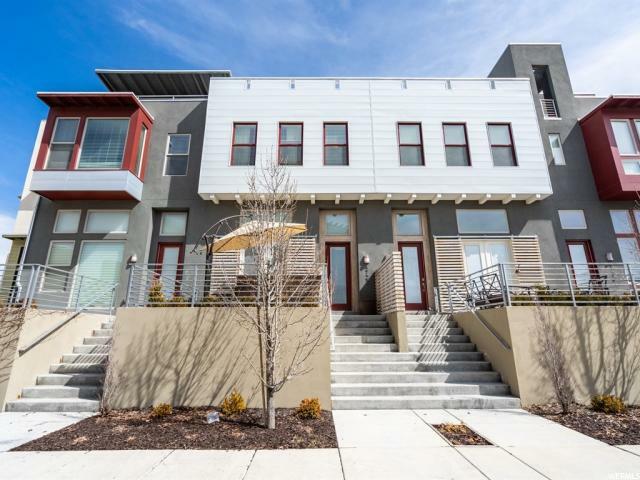 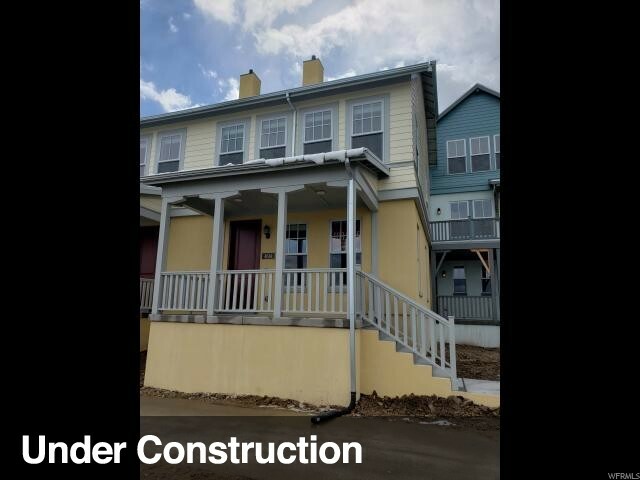 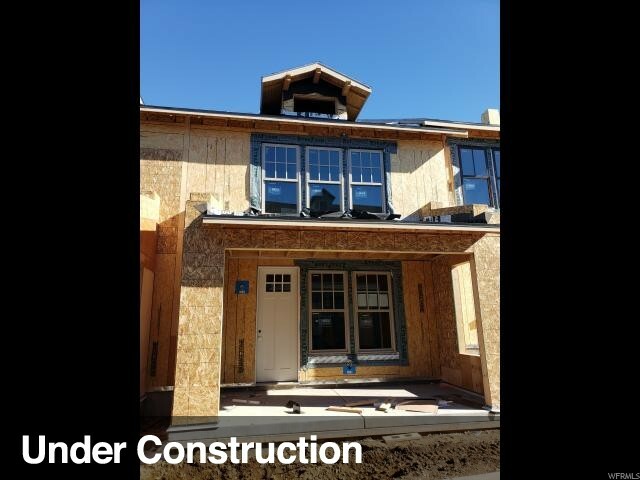 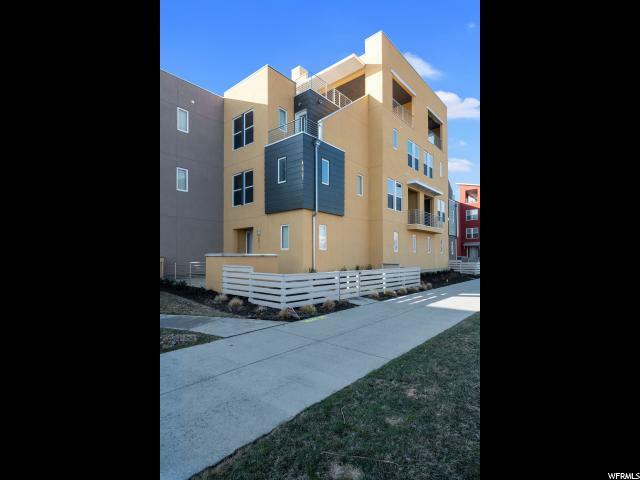 Conveniently located within a few minutes walk of Soda Row, Oquirrh Lake, parks, trails, concerts, dining, shopping, and entertainment, this townhouse has it all. 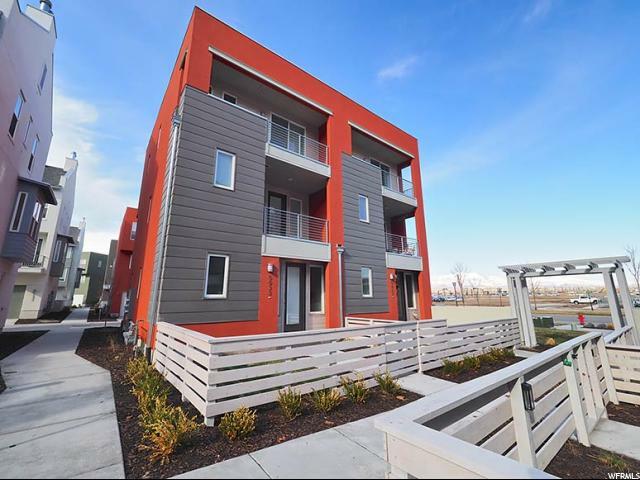 A short bike ride away is the Trax station, medical clinic, and a quick car ride to a major grocery store...everything is at your fingertips! 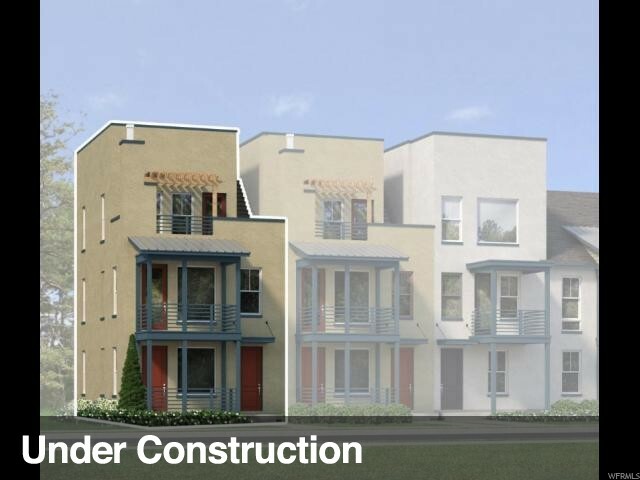 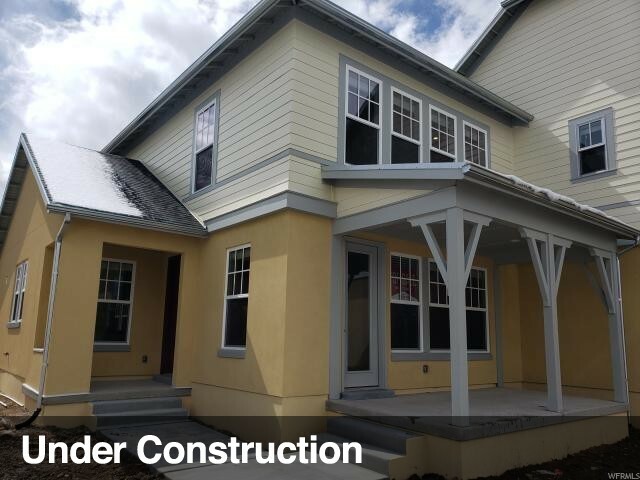 Your HOA fees include exterior maintenance of the building and the landscaping making this home easy living. 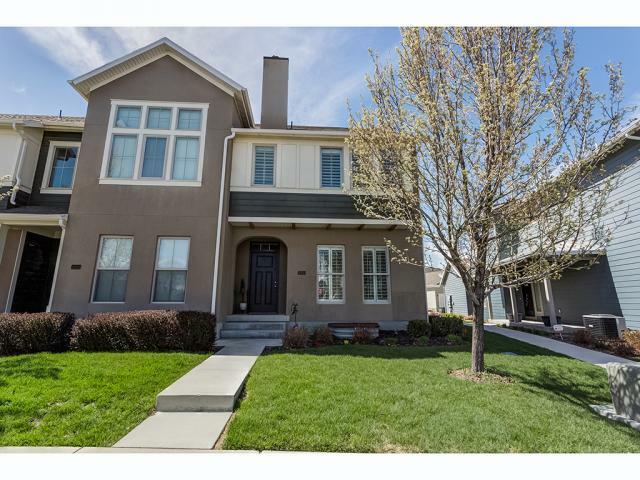 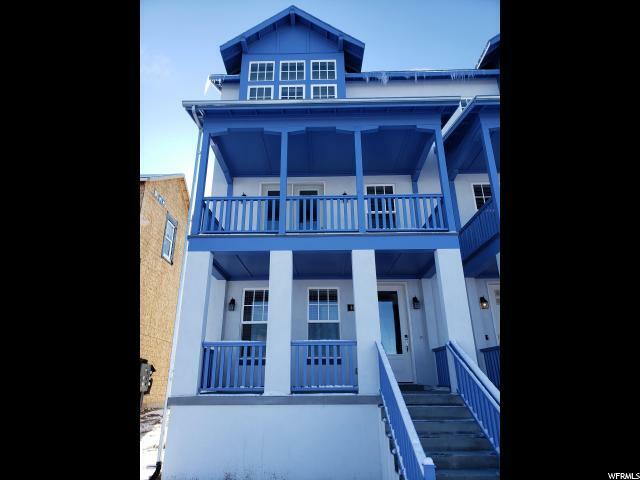 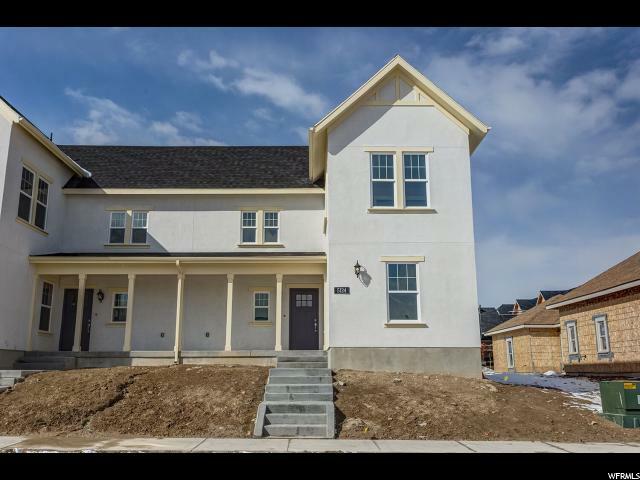 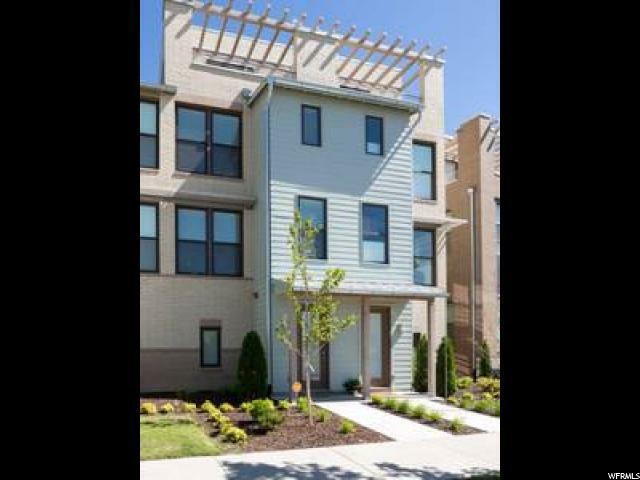 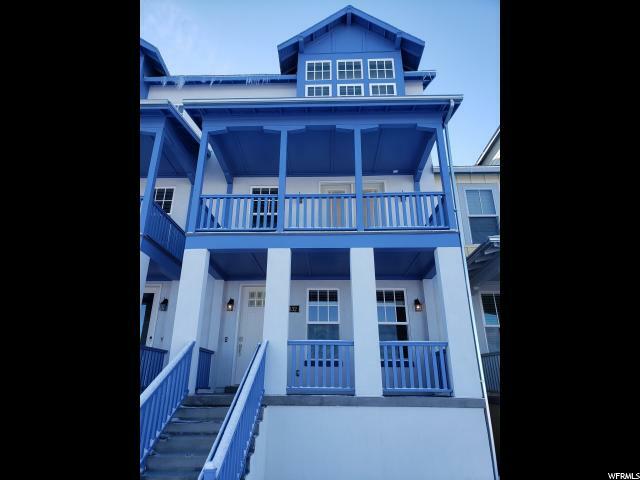 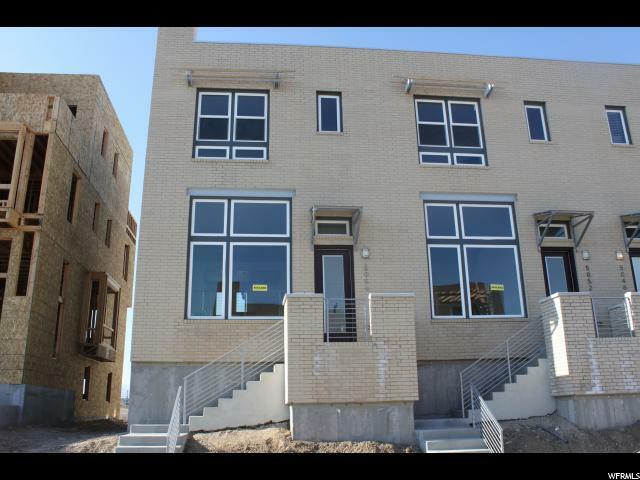 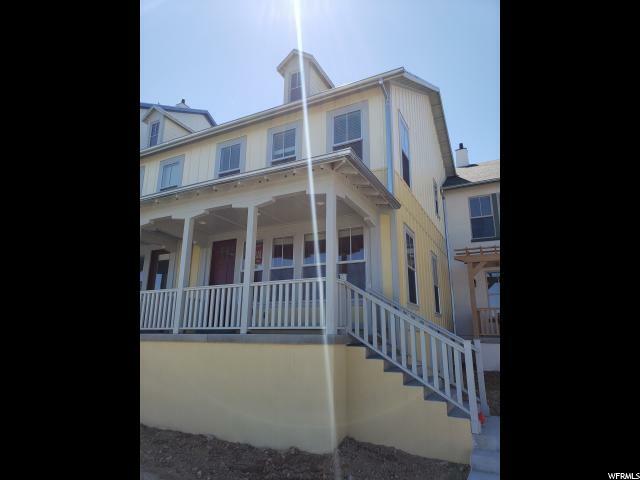 Schedule a showing today to see this gorgeous town house!